These burgers come together in a snap and they’re vegan to boot. The chia seeds give them healthy fat and the lime and cilantro provide tang and zest. In a large bowl, mash beans with a fork. You don’t want to eliminate all of the whole beans (the texture will be better if you don’t! 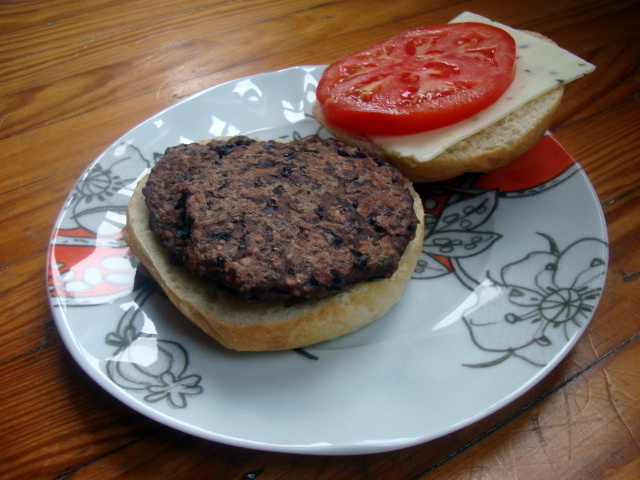 ), just get things “mushy” enough that patties can be formed. Stir lime juice and zest, cilantro, chia seeds, and flour into beans. Form bean mixture into 8 patties. Heat evoo in a large skillet over medium-high heat. Working in batches, cook bean burgers for two minutes on each side. Be sure that there is enough oil in the pan for all of the batches or the patties will stick.